At age 13, V. S. is a published poet and essayist. When not studying, V. S. is an avid reader, writer, and volleyball player. Off the court, V. S. has a love for worn-out, doodled-on Converse and funky scarves. Coming from an artistic family, V. S. aspires to be an editor or writer, especially since her drawing skills are limited to stick figures. V. S.’s parents have declared her room a hard-hat area because her bookshelves are about to burst. 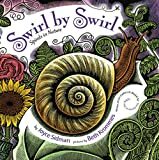 Book Reviews by V. S.
“Go out this instant and purchase Swirl by Swirl: Spirals in Nature by Joyce Sidman. Come, Thief is a pleasantly unusual book of poetry that is both refreshing and insightful. Lemonade Lemonade is a literary explosion of free verse puzzle poetry and a visual feast of witty words and phrases. At the Sea Floor Café is a very insightful and well-done book. The illustrations are unique and edgy, and go perfectly with the poetry. Purple Daze is a cutting-edge novel, strategically written to keep you wanting more as you delve deeper into the love and conflict of the rocky 1960s. A Dazzling Display of Dogs is a book both beautifully written and beautifully illustrated.